حجم معاينة PNG لذلك الملف ذي الامتداد SVG: 800 × 582 بكسل. الأبعاد الأخرى: 320 × 233 بكسل | 640 × 465 بكسل | 1٬024 × 745 بكسل | 1٬280 × 931 بكسل | 1٬100 × 800 بكسل. 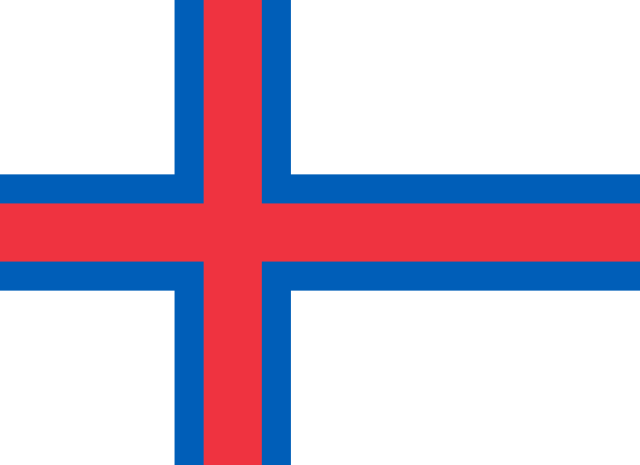 The flag of the Faroe Islands. It was made by User:IceKarma (Jeffrey Connell), who released it to the public domain. 17:27، 14 أكتوبر 2005 22٬000 × 16٬000 (676 بايت) Dbenbenn fix slight errors in coordinates, and small black lines. Changes are PD.